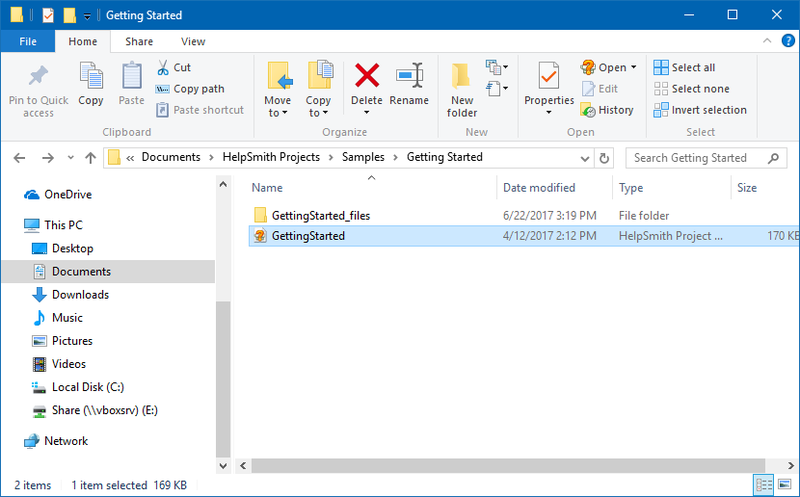 HelpSmith users often ask us how to move or copy an entire help project to another computer or storage device properly. In fact, this task is easy to do since HelpSmith stores the help project’s data in a single .HSM file and the files such as images and videos used in the help project are stored in the media repository folder. The media repository folder is named like “YourProjectName_files” and should be located in the same directory as the .HSM help project. Thus, to copy or move your help project to a different location, you should find your .HSM project file using Windows Explorer (or your preferred file manager), and then copy it and the repository folder (named like “YourProjectName_files”) to a new computer or storage device. By the way, to avoid any loss of data, for example, in the result of a system crash or possible hard drive crash, we always recommend making regular backup copies of your work files including HelpSmith projects to a separate storage device.